Getting this one out just in the nick of time as March begins! Last week was busy because I went out of town for a night to speak at the Catholic student center in College Station (such great students! So much fun! And a big shout out to Martha who drove in from Huntsville–thanks for being there!) and then Sunday morning I got hit with a stomach flu that, thankfully, was quick to resolve itself (thanks, essential oils!). And I pinned all of the following resources on a March Liturgical Year board on pinterest for your convenience! And for any lenten ideas, just check out last month’s at a glance post. St. John of God is my husband Daniel‘s confirmation saint! Read T.S. Eliot’s Four Quartets (especially East Coker IV). Attend a Vigil Mass! Get ready for Easter! 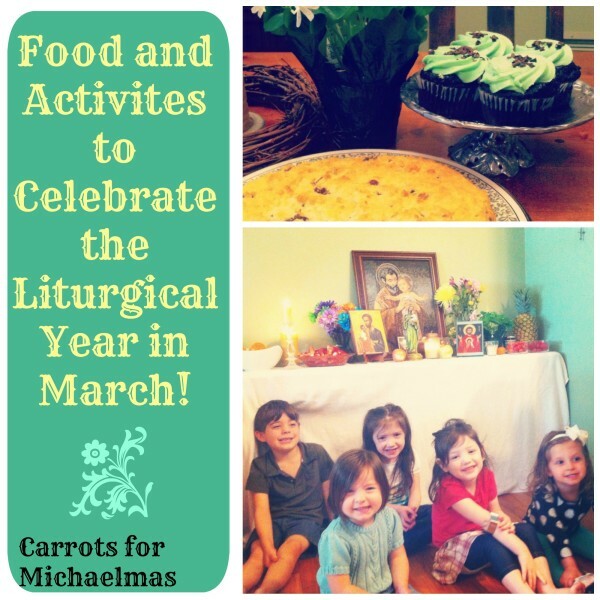 Please feel free to share any resources or ideas for observing the liturgical year during March in the comments! 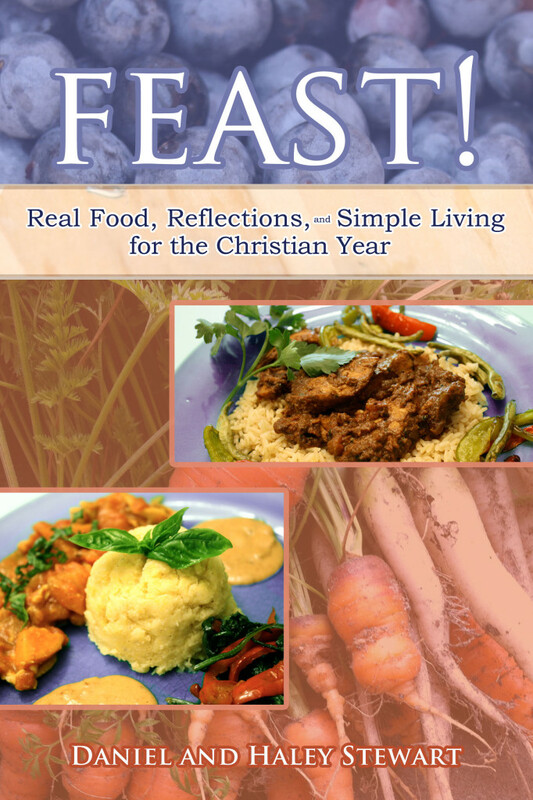 We share some of our favorite recipes for observing the Christian Year in our book Feast! 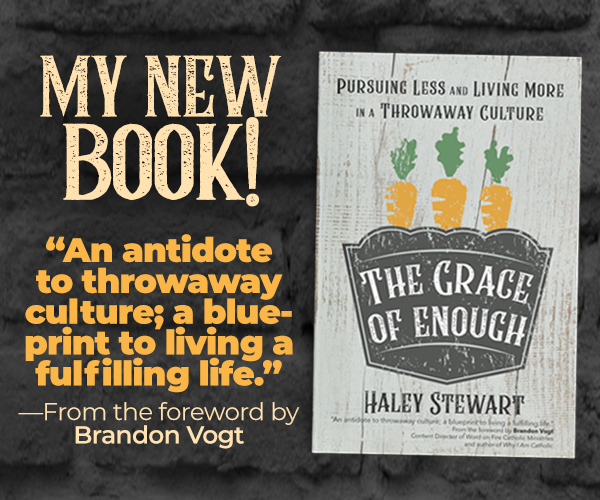 and our new book More Feasts! 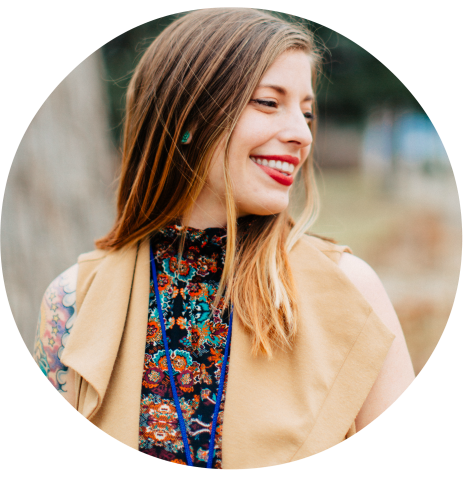 Very curious – how you used essential oils to help with the stomach bug. I already use YLEO, but not as much as I’d like. Thanks!! Blessings on your March! Always LOVE your posts!! You’re welcome, Kate! I used Digize (lifesaver!) diluted with coconut oil and applied to my tummy every couple of hours. And then I used Immupower on my spine. You forgot today, St. David’s Day! St. David was an early Christian monk who helped bring the Gospel to Wales (and he is the patron saint of Wales). Huge celebrations there today! Thanks, Emily! I fixed it! Thanks for posting this–yesterday as I made my grocery list, I was wondering what feast I should be preparing for–this is perfect!